ARLINGTON, VA – A study released Wednesday by the U.S. Dairy Export Council projects that new trade agreements made by Japan will benefit U.S. dairy global competitors while reducing sales of U.S. dairy exports. Australia and New Zealand have the Comprehensive and Progressive Agreement for Trans-Pacific Partnership (CPTPP) in place with Japan. On Friday, a Japan-EU Economic Partnership Agreement (JEEPA) is scheduled to take effect. Where does that leave U.S. dairy exports to Japan? The study, conducted by Tokyo-based Meros Consulting, can be downloaded here. It showed that without a strong U.S.-Japan trade treaty, competitors will seize a cumulative $1.3 billion in dairy sales over the next decade. That would climb to $5.4 billion once the agreements are fully implemented over 21 years, the report said. The Japanese dairy market is valuable to the U.S. dairy industry, importing $291 million from U.S. exporters in 2017, the last year with complete data. Those strong 2017 sales were a 41 percent increase over the previous year. The total made Japan the fourth largest market for U.S. dairy exports. Dairy demand, especially for cheese, is expected to continue. Underscoring the importance of the Japanese market, four U.S. dairy farmers traveled to Tokyo as U.S. dairy ambassadors in November. All the farmers serve on the board of Dairy Management Inc., USDEC's parent organization. The report quantified the same potential the dairy farmers saw in November. Japan’s cheese imports are expected to show a 1.6-fold expansion over the next 10 years under CPTPP and JEEPA. If the U.S. has the same market access as its competitors, U.S. share could grow from 13 percent in 2017 to 24 percent in 2027, and U.S. cheese export value to Japan could show a 3.3-fold expansion. However, if the U.S. remains without a comparable agreement with Japan, the U.S. dairy industry will be at a significant disadvantage against other dairy suppliers and lose market share. “These agreements will give our competition a significant economic advantage that will enable them to increase their market share in Japan, costing the U.S. dairy industry billions of dollars in lost sales,” said Tom Vilsack, USDEC’s president and CEO, in a news release. 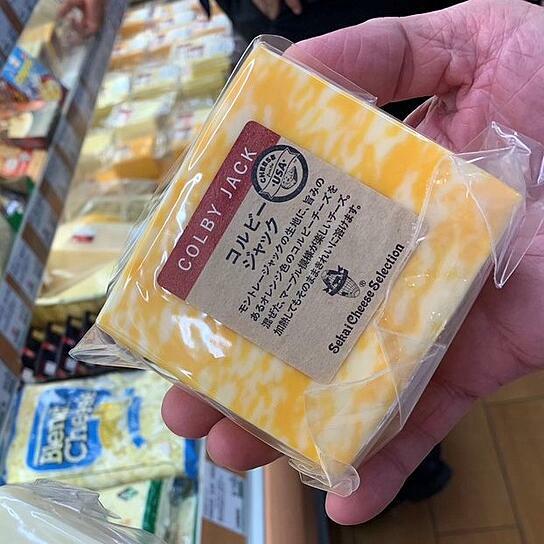 The report outlines the potential for growth in U.S. dairy exports in Japan, all things being equal; while underscoring the large toll that an uneven playing field will take on U.S. dairy exports to Japan, particularly for cheese, whey and lactose. In its 97-report, Meros Consulting analyzed the impact on key U.S. dairy products and ingredients exported to Japan It created charts showing what would likely happen if the CPTPP and JEEPA moves forward as planned while the U.S. remains without a comparable agreement. Four of those charts are below. "The potential upside for the U.S. dairy industry and U.S. economy underscores the need for the Trump administration and Congress to secure a strong trade treaty with Japan," said Jaime Castañeda, USDEC senior vice president. "These treaties need to significantly expand export opportunities for all our U.S. dairy products."